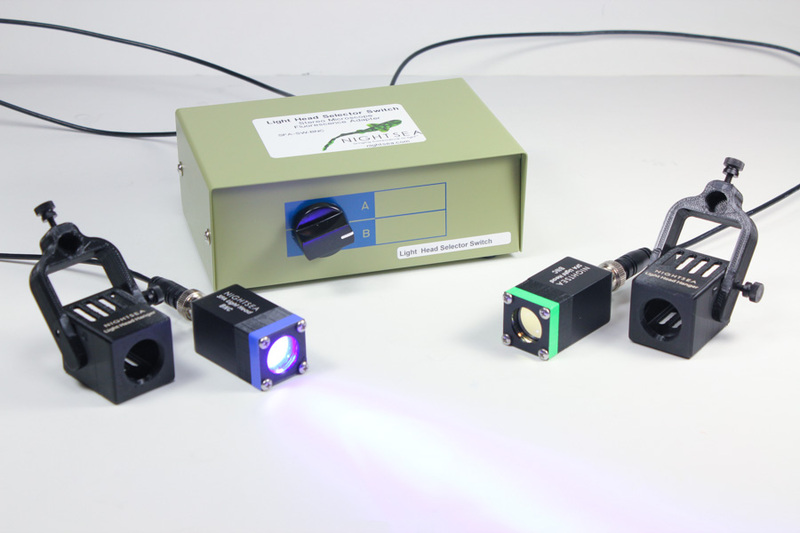 The Switch Box Kit is an accessory for the NIGHTSEA Model SFA Stereo Microscope Fluorescence Adapter. 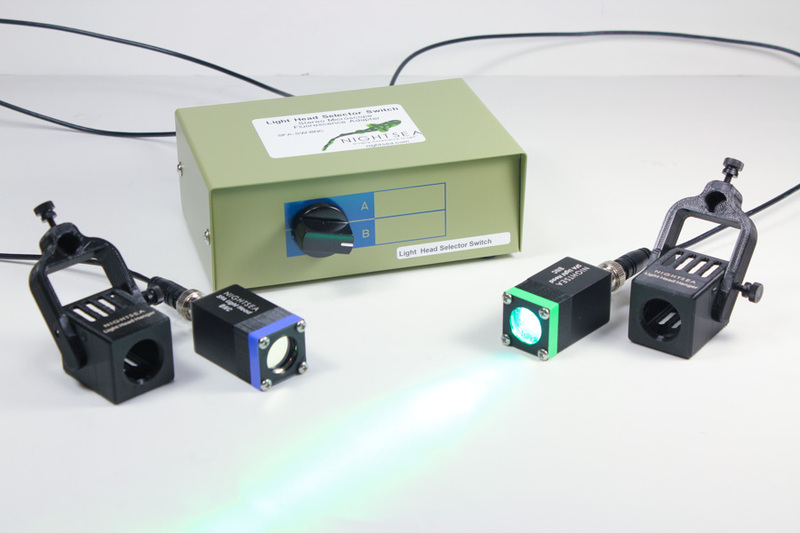 It enables you to mount two different wavelength excitation light heads on your microscope and switch between them easily. You will still need to manually change the barrier filter, but it eliminates the need to swap out light heads on the gooseneck. One BNC cable connects the SFA gooseneck lamp base to the input connector on the rear of the Switch Box. The other two cables connect the Switch Box outputs to the two light heads. 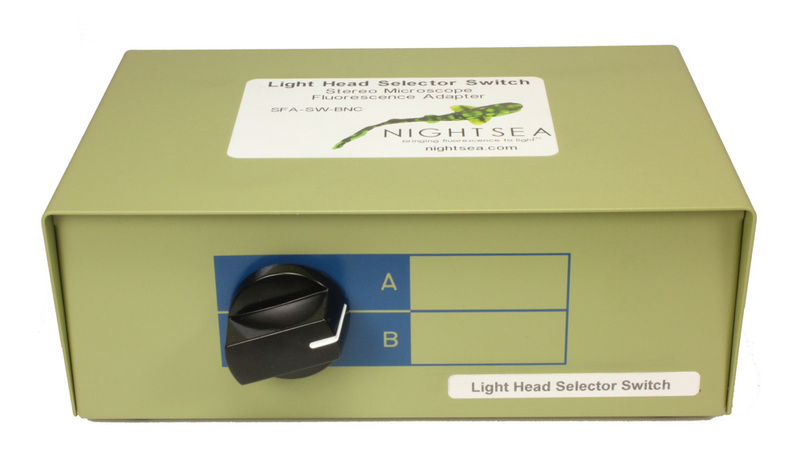 Use the selector switch on the front of the Switch Box to select between the two light heads. The Light Head Hangers mount your light heads on the SFA adapter ring on the microscope. The Light Head Hangers mount to the end of any of the thumbscrews on the SFA adapter ring. They are available in long and short pivot arm versions for use with long and short working distance microscopes. Note that the Switch Box Kit is currently available only for SFA systems that use the BNC light head connector, and not the older V1 connector. 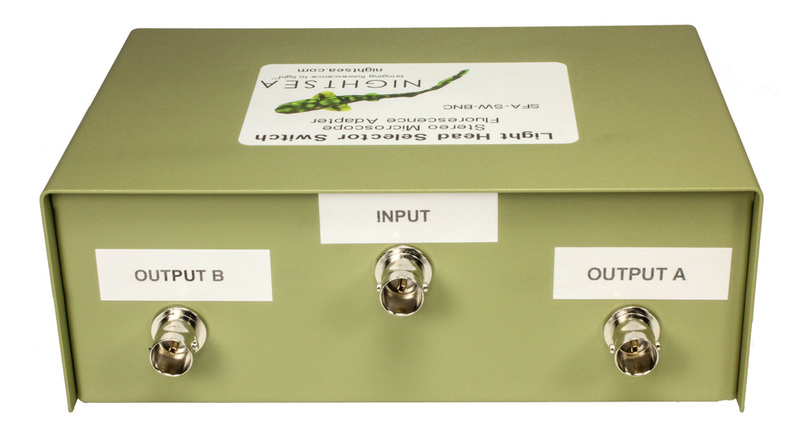 This accessory simplifies the process of switching between excitation wavelengths. You can have two different excitation sources mounted simultaneously and select between them with the flip of the selector switch. You will still need to manually change the barrier filter, but the overall switching process is speeded up and simplified.